The papers and images from Paris Flea Market are so breathtaking, that they add magic to projects. This card uses Pion Design Palette for the card base and die cuts. Not only is it thick and strong, it matches perfectly. What a fantastic addition to the Pion Design collection! 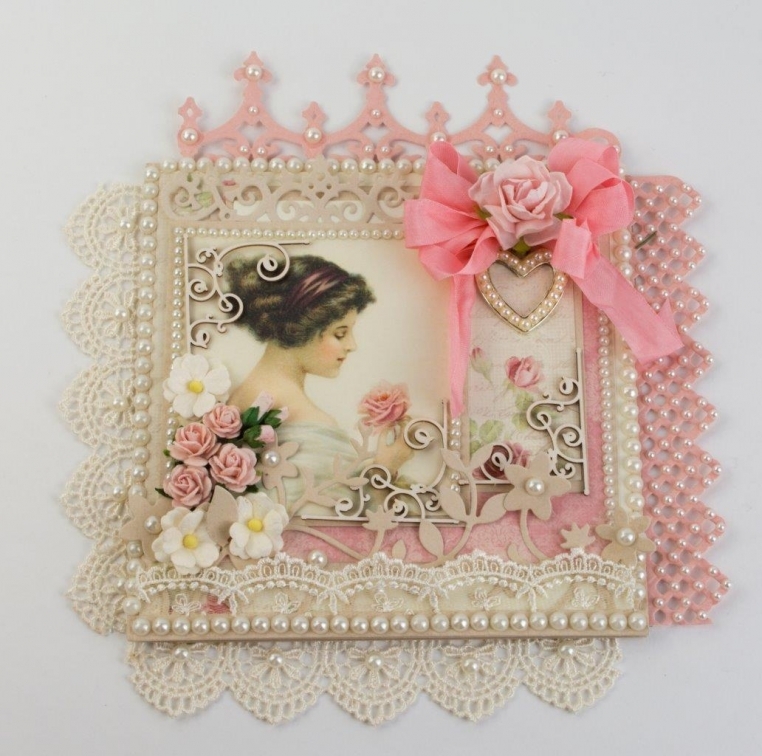 Oh, Tara….I love, love, love this card!! It is perfection to be sure! Love the colors, the die cuts, the pearls, just everything about this!